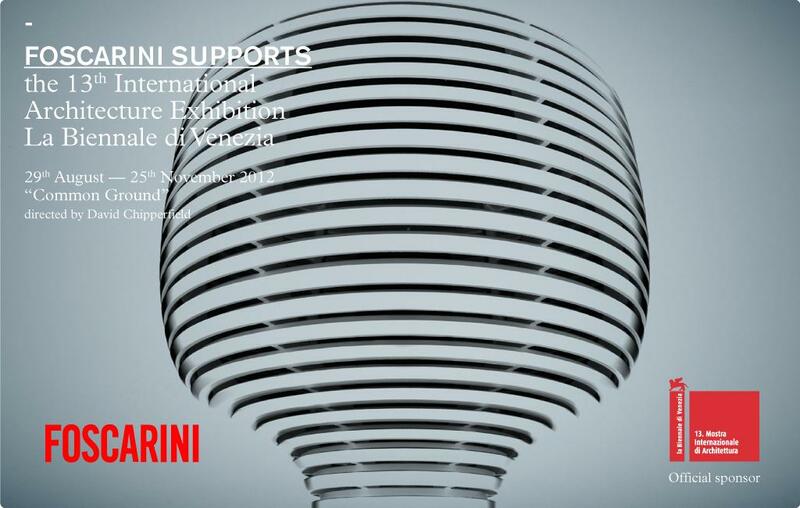 Foscarini reinforces its ties to the world of culture, by confirming its support of the Venice Architecture Biennial. “The core theme of this 2012 Biennial entitled Common Ground – explains the director, David Chipperfield – is what we have in common. The ambition is to re-establish the existence of an architectural culture consisting not only of individual talents but also of a true wealth of different ideas joined together by a common history”. Within the settings of the Arsenal and Gardens, Foscarini will also be attending with its most famous lamps, while the Arsenal Bookshop will be exhibiting for the first time ever a scenic composition of Plass, majestic and charming suspensions designed by Luca Nichetto.